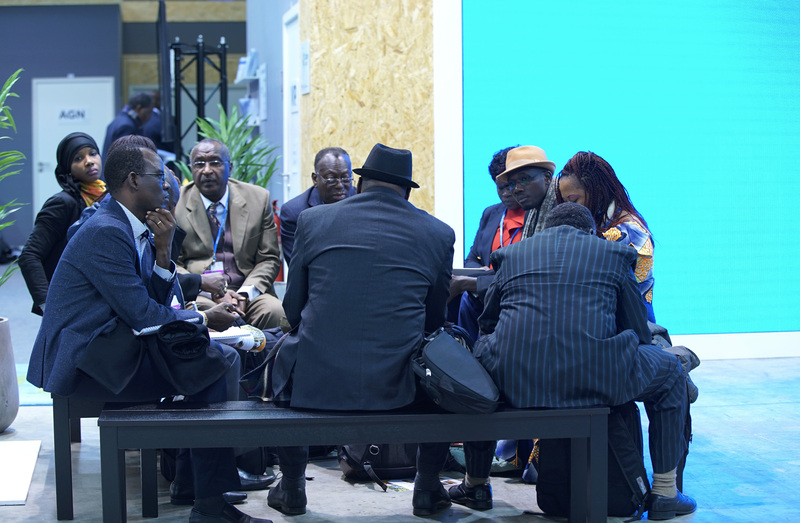 Delegates outside the Africa Pavilion on Monday, 7 December 2015. This event discussed financing sustainable pathways for development in Africa and was moderated by Fatima Denton, Director, Special Initiatives Division, UNECA, who opened by saying that Africa wants more inclusive growth. 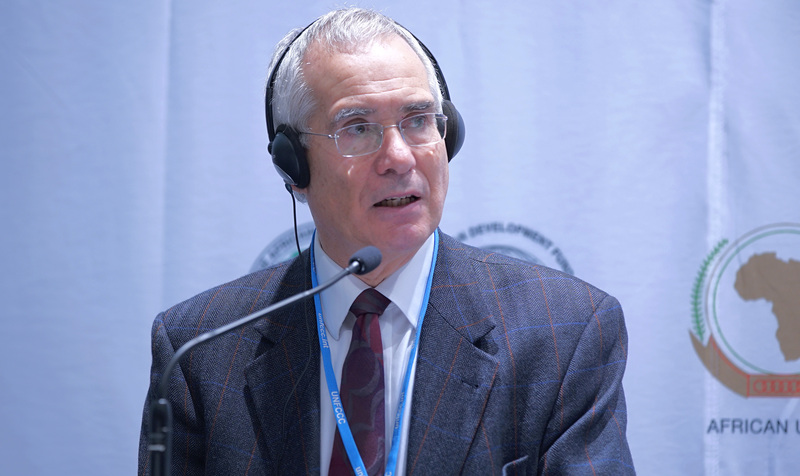 Nicholas Stern, Co-chair, Global Commission on the Economy and Climate, highlighted that dirty growth is bad for the environment and for development. He emphasized the importance of the recently established New Development Bank, which will enable low cost lending from China to Africa in a more transparent way and with lower interest rates. He outlined that there are two ways for the world to go carbon neutral or carbon negative by the second half of this century, namely through carbon capture and storage with biomass and through protecting and increasing soil carbon storage, reducing deforestation and increasing reforestation. 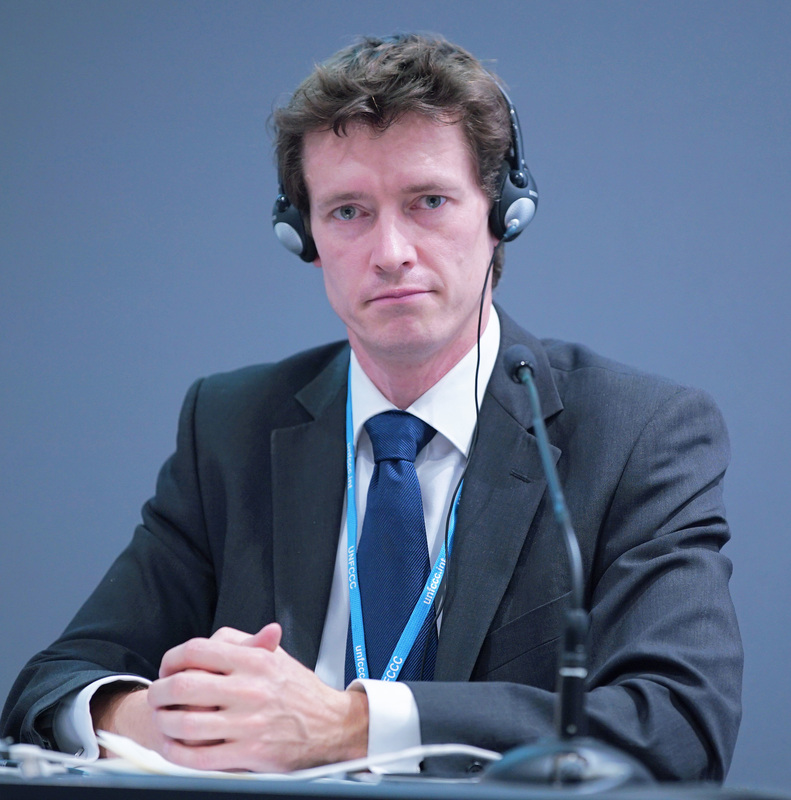 He closed by stating that coal is not cheap: it costs more than US$250 per ton when all externalities are accounted for and thus is only cheap if people “don’t value lives” in high pollution, climate vulnerable areas such as in Africa and Asia. 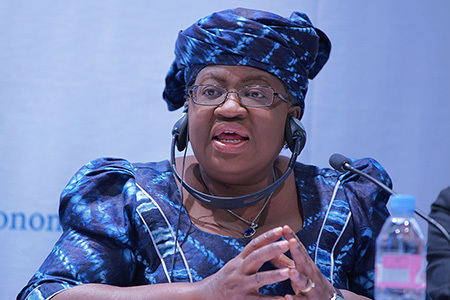 Ngozi Okonjo-Iweala, Commissioner, Global Commission on the Economy and Climate, said climate change presents challenges and opportunities for Africa and that the next 15 years will be crucial for Africa’s development. 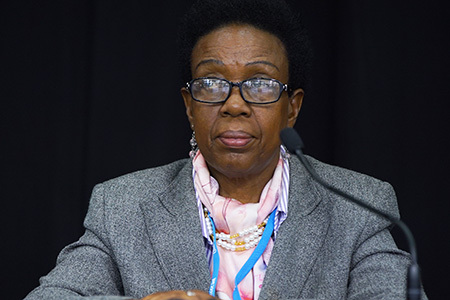 She noted economic transformation can be accomplished by incorporating low carbon development policies in the drive toward net zero carbon emissions. She said there is a lack of understanding about what innovative financing means and argued for phasing out fossil fuel subsidies and instead using the money to finance infrastructure and renewables. 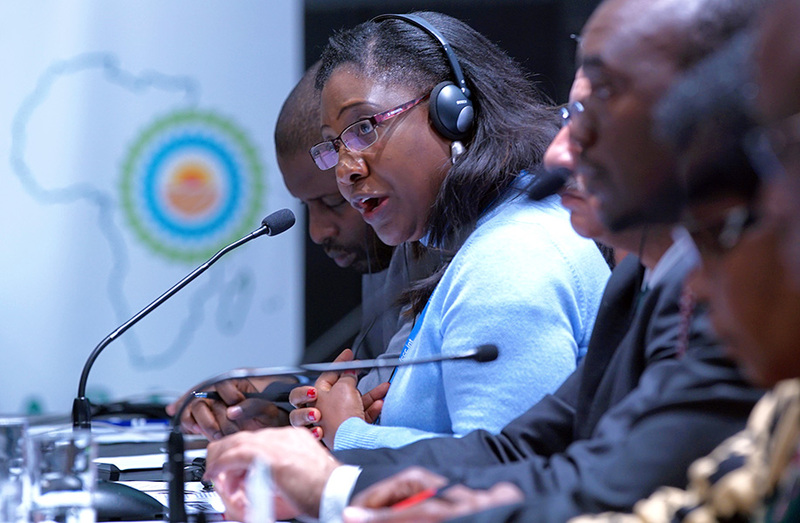 She highlighted that African Risk Capacity is a good example of Africa refusing to play the role of victim and instead leading the push for low carbon development. 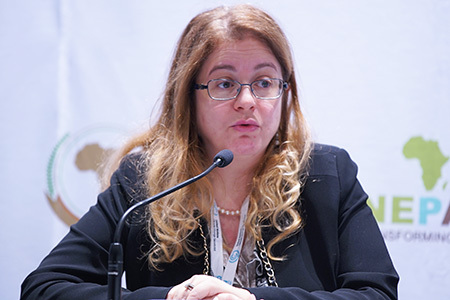 Hela Cheikhrouhou, Executive Director, GCF, said the GCF will fail if it does not come through for Africa. She noted that Africa is a priority region for the fund and the continent needs funding for small scale projects that are more likely to reach communities on the ground. 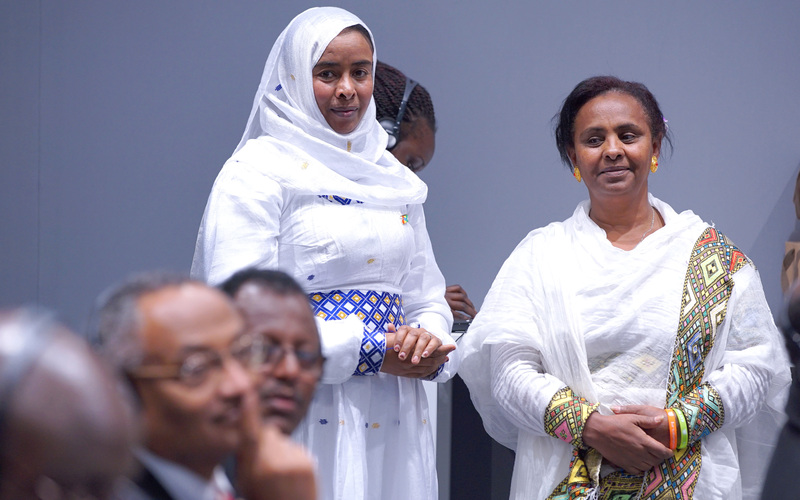 She outlined the need to keep the rules of access pragmatic and simple to ensure higher uptake in Africa. 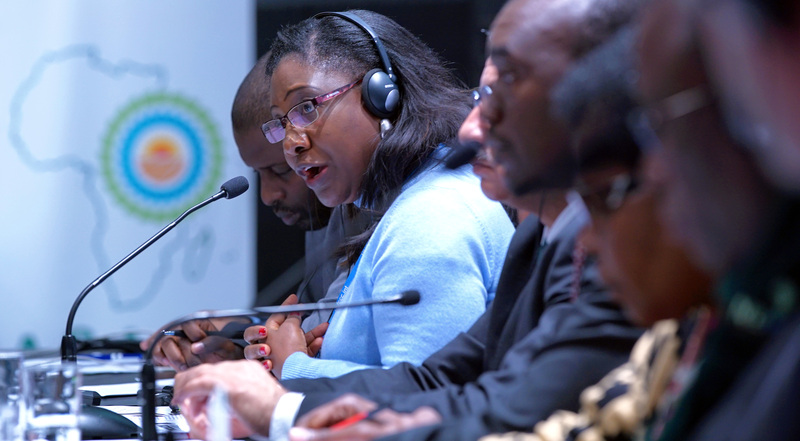 Half of the 20 agencies accredited to the GCF are in developing countries, she said, which means African governments and the private sector have a choice on whom to work with to access GCF funds. 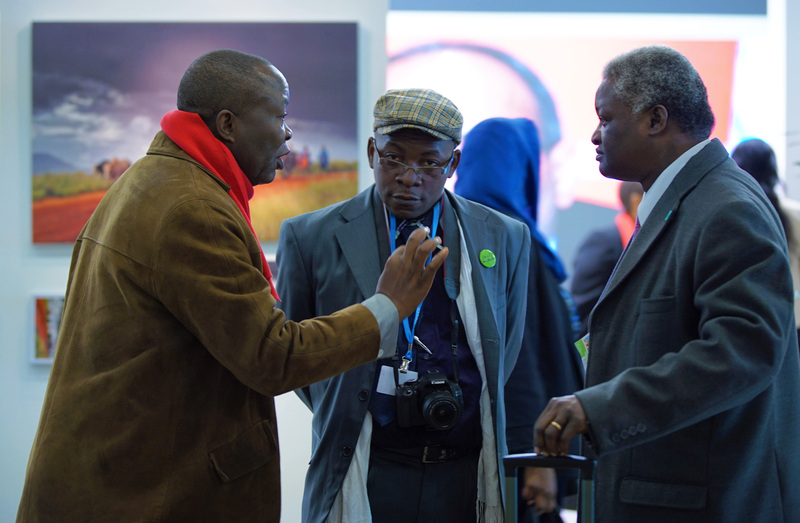 She finished by urging African voices to be focused and constructive with regards to the GCF. 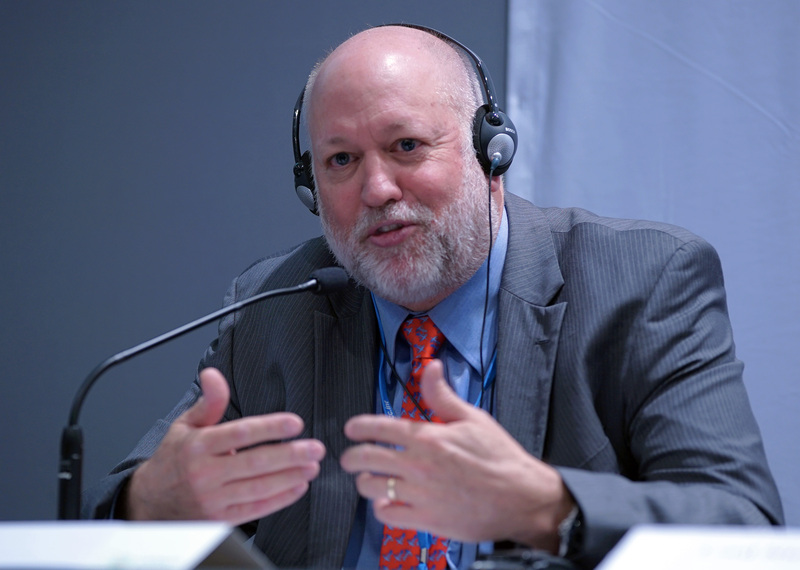 Eric Postel, Associate Administrator, USAID, highlighted that there are tremendous opportunities for low carbon development within the energy sector in Africa. He highlighted President Obama’s Power Africa Initiative that has attracted more than 100 private sector companies to invest in the energy sector in Africa. 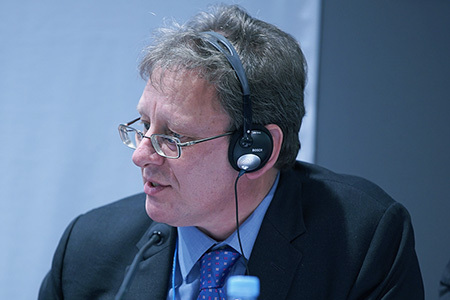 Andrew Norton, Director, IIED, said a high level of financial inclusion is one property of financial stability. 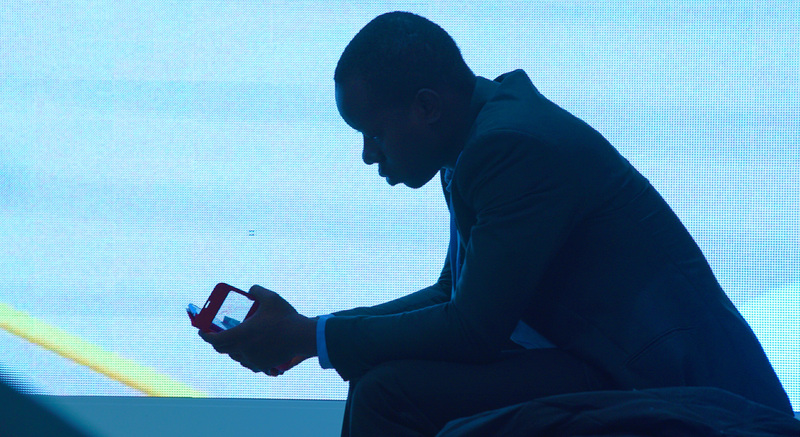 Extreme wealth inequality, he said, causes instability and therefore more public financial flows need to reach Africa. He said building a market takes time and thus there is a need to build capacity and for inclusive intermediaries like national development banks to create a chain of access that reaches down to communities. 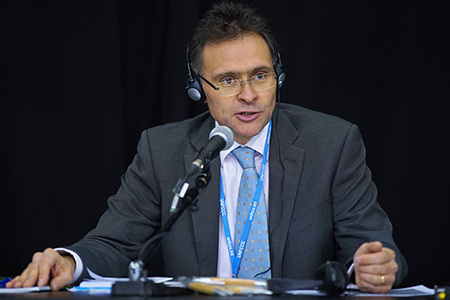 Kurt Lonsway, Manager, Environment and Climate Change, AfDB, noted AfDB’s financing model is changing as the bank is now committed to green growth and aiming to provide US$5 billion to climate friendly investments by 2020. 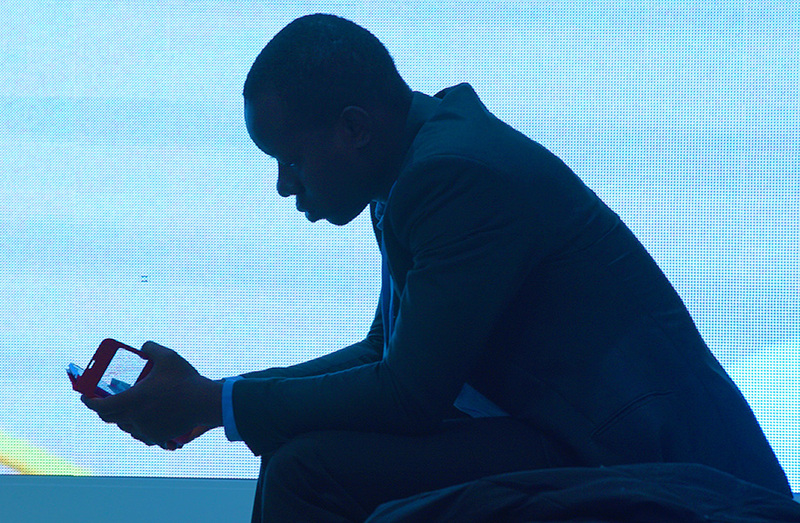 He said the New Deal for Energy in Africa is a key step to lighting up the continent and that all 54 African countries cannot work in isolation to raise people out of poverty. Nick Hurd, Parliamentary Under Secretary of State, DFID, said the UK has already invested £1.5 billion in the energy sector in Africa and that it’s too late to wait until 2080 to achieve Sustainable Development Goal (SDG) seven on ensuring access to affordable, reliable, sustainable and modern energy for all. He outlined that reaching this SDG does not mean spending vast amounts of aid money but making consumer markets work for poor people. Following these remarks, Nick Hurd and Eric Postel signed a Memorandum of Understanding between DFID and USAID’s Power Africa Initiative to collaborate on bringing more energy to Africa. Participants discussed, inter alia: large scale AfDB projects; private sector financing of adaptation projects; and the role of fertilizers. This session focused on mitigation finance using lessons from the CIF and its CTF and was moderated by Smita Nakhooda, Team Lead, Overseas Development Institute. Zaheer Fakir, Chief Director and Policy Advisor, Department of Environmental Affairs and Tourism, South Africa, highlighted strengths of the CTF as its programmatic nature, its linkages with the multilateral development banks (MDBs), and its ability to engage multiple stakeholders who are not involved in climate investments. 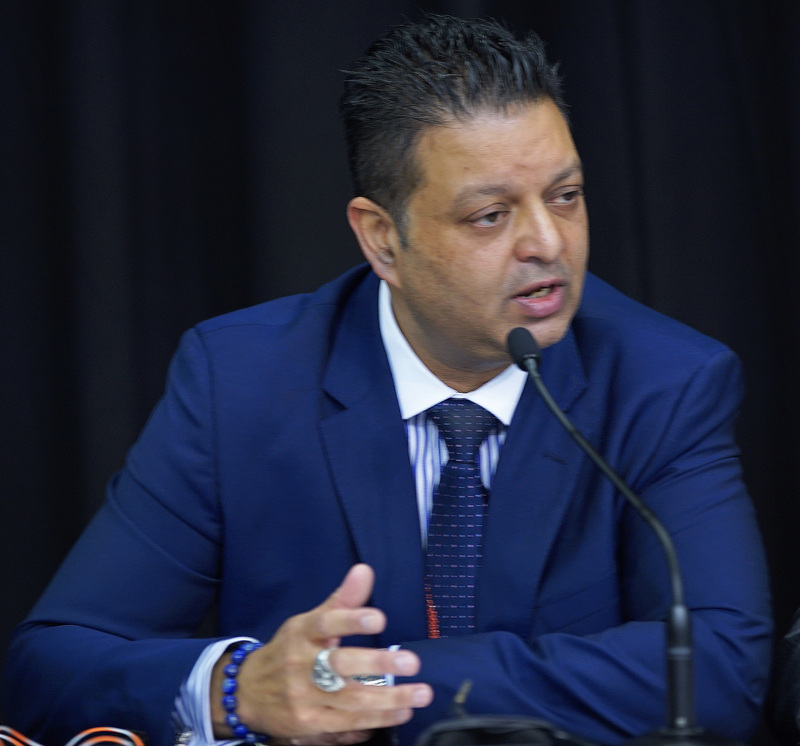 He said the CTF has enabled South Africa to transform its power sector primarily using private finance mobilized domestically. 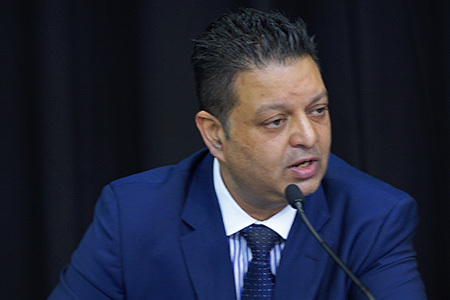 He underscored this point noting that of the US$14 billion invested in the sector, only US$2-3 billion is from foreign sources, and therefore the CTF has activated domestic finance. In order to utilize the fund, he noted the importance for policymakers to determine their risk appetite early in the process and to have a clear strategic vision so a single large donor does not come to dominate the agenda. Mafalda Duarte, Manager, CIF, said that in 2009 the CIF was started in order to deliver climate finance at scale using a unique business model. She discussed the Scaling-up Renewable Energy Program (SREP) that has already supported the installation of 2.7 gigawatts of power and will scale up to 15 gigawatts. She said CIF is the primary supporter of concentrated solar and geothermal power in developing countries and highlighted CIF’s plan to add one-fourth to the current global capacity of solar power. “These are very big numbers,” she said, “and at an aggregate level, this type of investment will drive markets and learning.” CIF measures impact, she said, by looking at results in different dimensions including: new technology deployment at scale; creation of markets; improvements in policy and institutional environments; and behavior change. 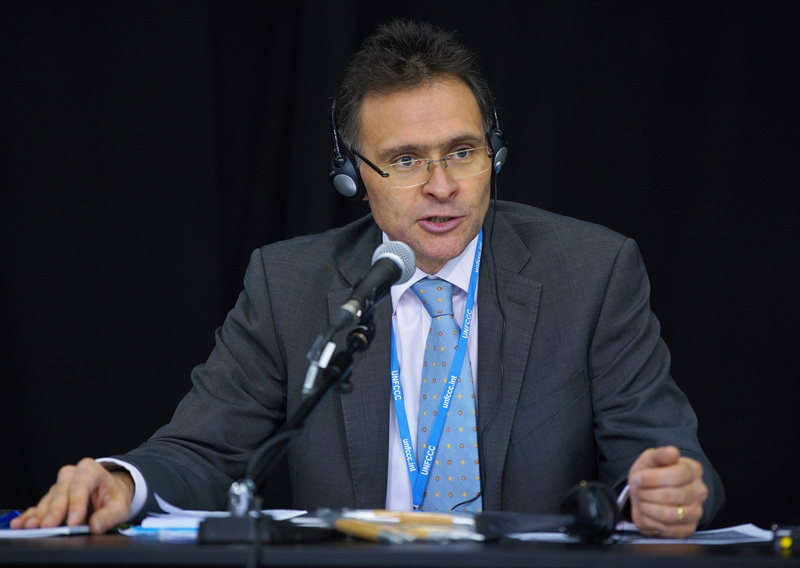 Kurt Lonsway, Manager, Environment and Climate Change, AfDB, said CTF is about mitigation not adaptation. 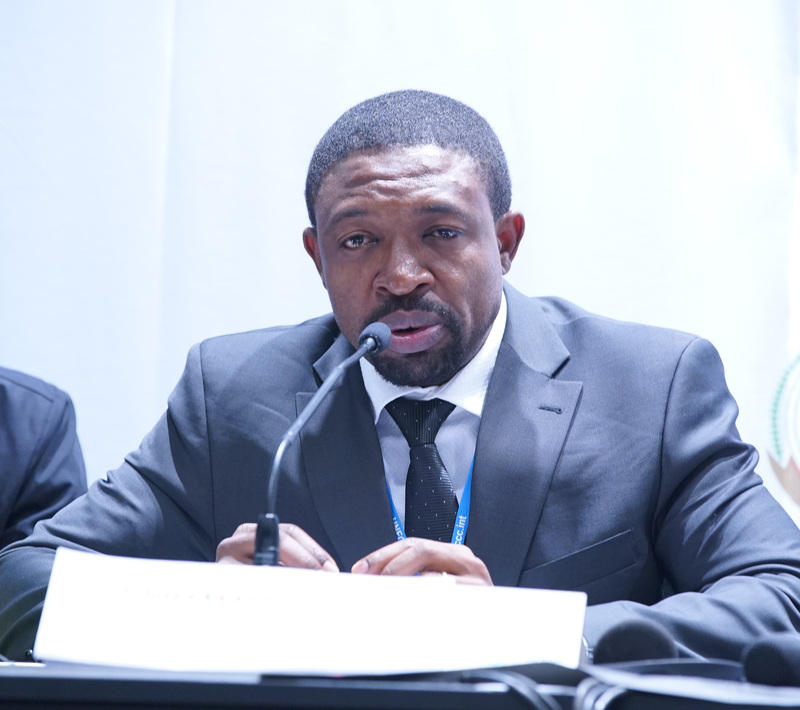 He said there is an opportunity for African countries to take a leap forward and provide widespread renewable energy. 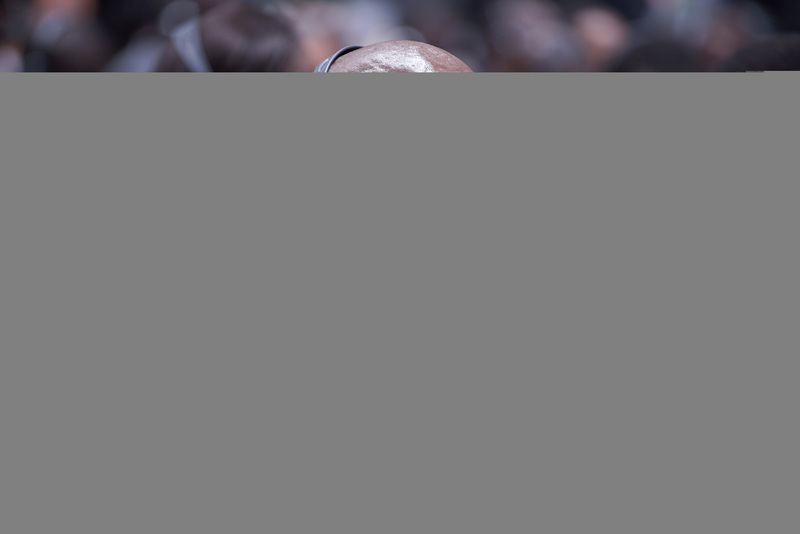 He underscored Africa’s vast renewable resources and their potential to boost low carbon energy. 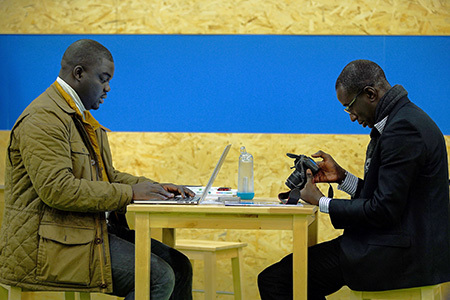 He said that in 2011 nearly 86% of AfDB’s investments in energy were related to fossil fuel-based technologies but that today, with support from CIF, 71% of investments are going to renewable or clean energy. He highlighted the New Deal for Energy in Africa, an AfDB program that has a portfolio using CIF funding to leverage outside financing. 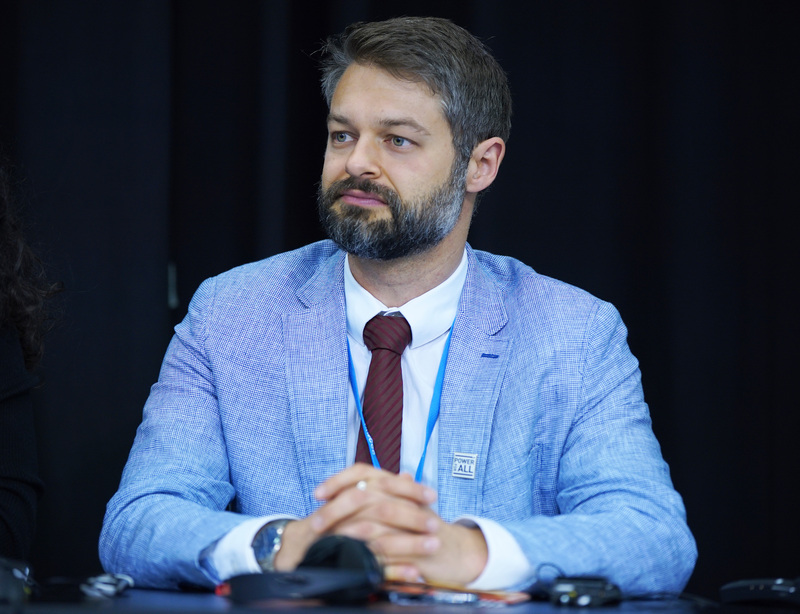 Aaron Leopold, Global Energy Representative, Practical Action, talked about the importance of CIF engaging with stakeholders through its relationship with MDBs. He said it would be good to institutionalize and streamline civil society engagement across the MDBs. Calling the 1990s a “lost decade” due to prescriptive World Bank and International Monetary Fund policies tied to infrastructure finance, he welcomed the contemporary switch to a national level demand-driven approach that supports self-determination. 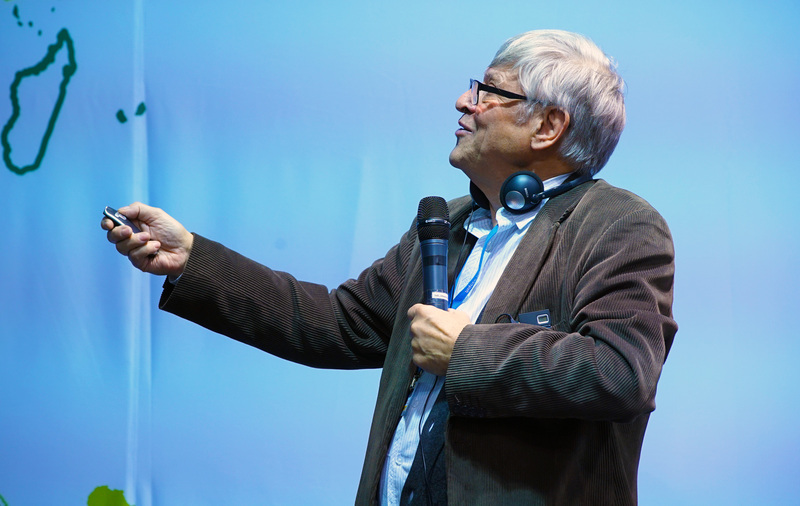 However, he said, technology has moved at such a rapid pace that there is a need to educate decision makers who tend to focus on large, grid-based power systems that have a heavy fossil fuel component despite the fact that both centralized and decentralized wind and solar power can often offer grid parity. Zoe Norgate, Head, International Climate Fund Team, Department of Energy and Climate Change, UK, said there is huge demand for climate finance and a need to support countries that are stepping up their ambition. 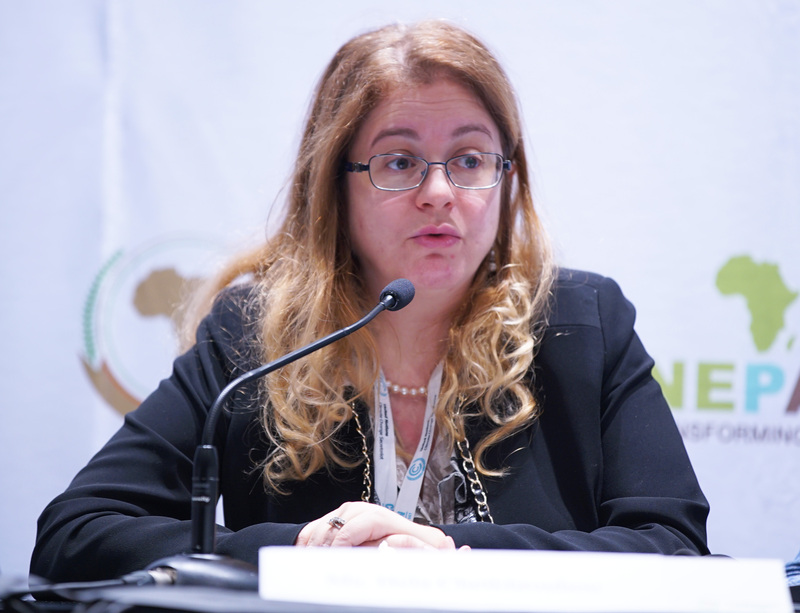 She said best estimates indicate that since 2014 there has been US$62 billion per year in climate finance according to the OECD, and she expressed optimism this will scale up to the US$100 billion target by 2020. She said it will be important to watch what happens with the GCF. 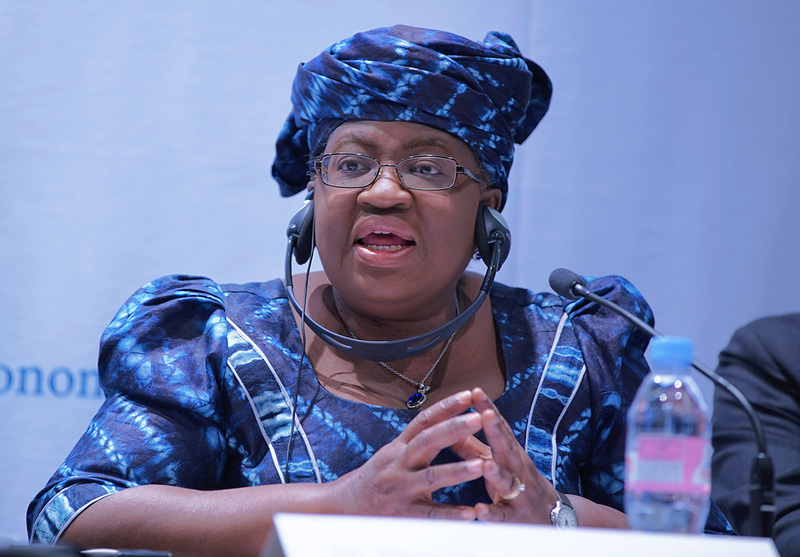 She noted the importance of unlocking private sector flows by creating enabling environments at the national level. She highlighed the example of Uruguay which moved to 95% renewable electricity generation by creating a stable long term policy environment with good regulations and a competitive procurement process. 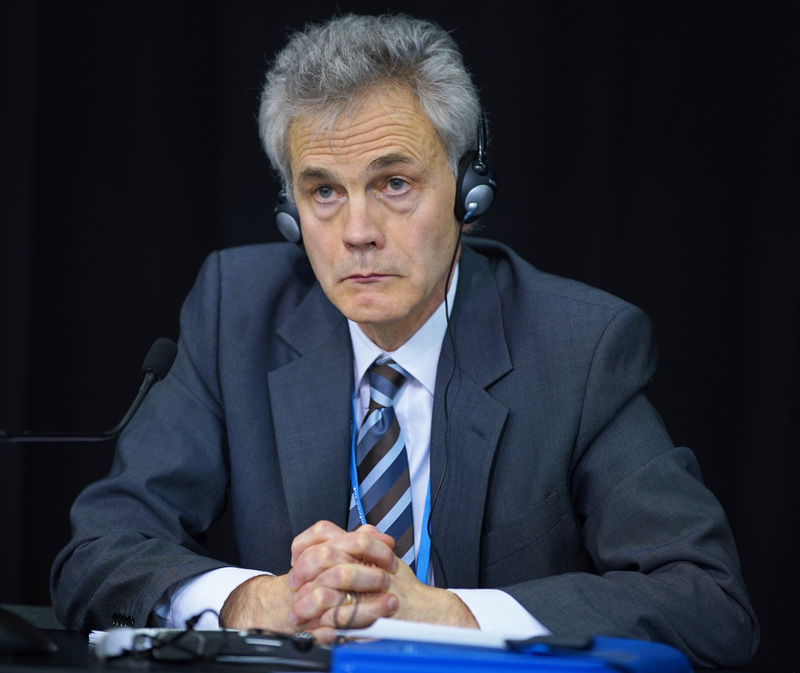 During comments from the audience, Anders Wallberg, Head, Climate Change Section, Ministry of Foreign Affairs, Sweden, announced Sweden’s plan to add US$2.5 million to SREP in 2016. 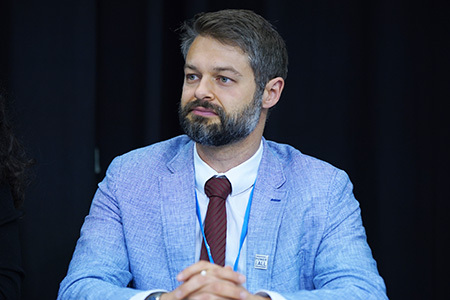 Henrik Harboe, Director of Development Policy, Ministry of Foreign Affairs, Norway, announced a contribution of US$1.1 million bringing the country’s total contribution to CIF to more than US$100 million. 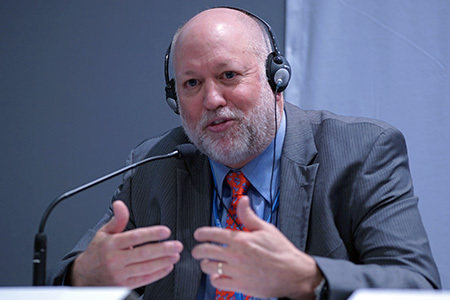 Claudio Alatorre, Senior Climate Change Specialist, Inter American Development Bank, said that in many cases mitigation opportunities are viable in the long term, so it is not a question of price but rather addressing specific risks that prevent commercial banks from offering financing. 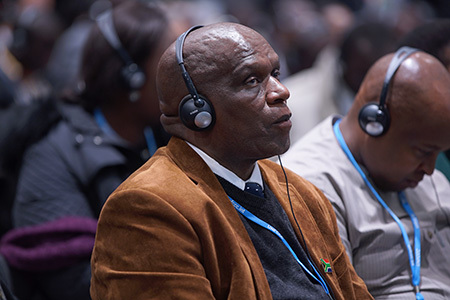 This session focused on the nexus between climate change and agriculture in Africa and the need to scale up NEPAD’s Vision 25x25, a plan to involve 25 million African farming households in climate-smart agriculture by 2025. Martin Bwalya, Head, Programme Development, NEPAD, introduced the panel and noted the importance of the 2014 Malabo Declaration on Accelerated Agricultural Growth and Transformation for Shared Prosperity and Improved Livelihoods adopted during the African Year of Agriculture and Food Security. 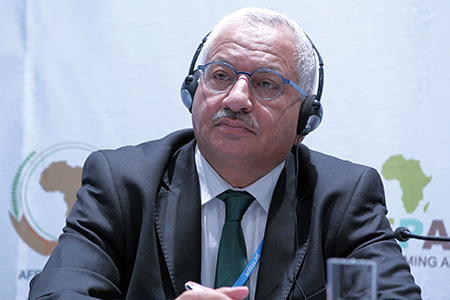 Mohamed A.S. Abdel Monem, Advisor to the Minister on African Affairs, Ministry of Environment, Egypt, said climate change increases food prices and undermines food security. He highlighted the importance of NEPAD in providing technical support for “key continental programmes” such as the Comprehensive Africa Agriculture Development Programme. 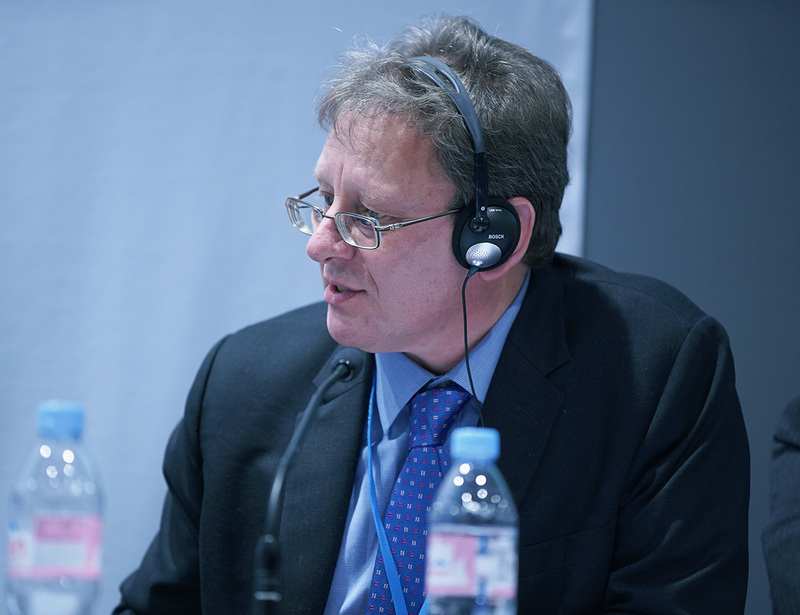 After opening statements, Timothy Mealey, Senior Partner, Meridian Institute, facilitated a panel discussion, asking questions on the role of agriculture in the UNFCCC negotiations; the need for gender considerations; and best practices in implementing climate-smart agriculture. Fred Kossam, Head of Climate Change and Research Services, Ministry of Environment and Meteorological Services, Malawi, said a guiding principle for African negotiators is ensuring that food security is not threatened and that any interventions in the agricultural sector truly contribute to sustainable development. He called for support from NEPAD for evidence-based decision making and said that countries should send representatives from their ministries of agriculture to engage in UNFCCC negotiations along with those from the environment ministries. 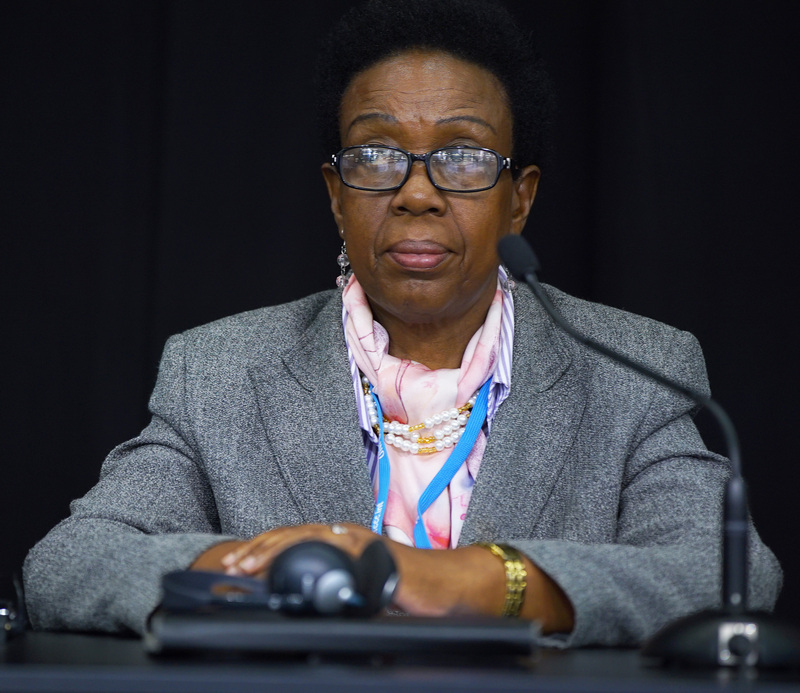 Estherine Fotabong, Head, Programme Implementation and Coordinator Directorate, NEPAD, said women grow more than 60% of crops in Africa and policies must support them to adapt their farming practices to climate variability. She said, “we will not think for the women, we will think with them,” to build adaptive capacity. She highlighted the Gender Climate Change Agriculture Support Programme (GCCAS) operating in Cameroon, Niger, Malawi, Ethiopia and Rwanda and said GCCAS determined through a multi stakeholder process that key issues for women include: access to land; lack of credit; lack of support by extension services for women; and post-harvest loss from lack of market access due to poor roads and a dearth of storage facilities. 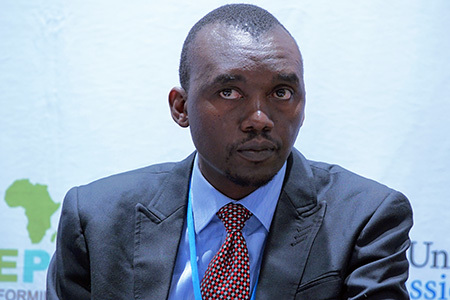 Miti Chikakula, Climate Change Coordinator, COMESA, talked about the Tripartite Free Trade Area launched between COMESA, the East African Community (EAC) and the Southern African Development Community (SADC) as it relates to climate-smart agriculture. The agendas of gender and agriculture are intertwined, he said, and have been brought to the fore. He urged the adoption of appropriate technologies in agriculture and said farmers have already identified practices that are climate resilient but the challenge is scaling up those practices. Shakwaanande Natai, Ministry of Agriculture Food Security and Cooperatives, Tanzania, talked about the importance of aligning policies at all levels. 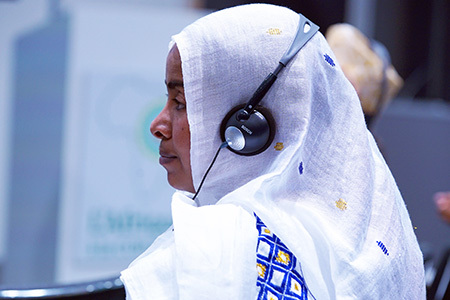 She detailed the Climate-Smart Agriculture (CSA) Program in Tanzania. 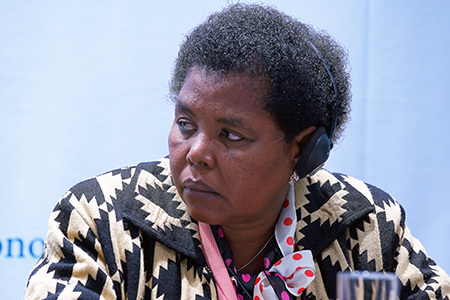 It was developed, she said, through a multi sectoral, multidisciplinary task force that sought to align agriculture, livestock, forestry, fisheries and land use policies in consideration of climate change. 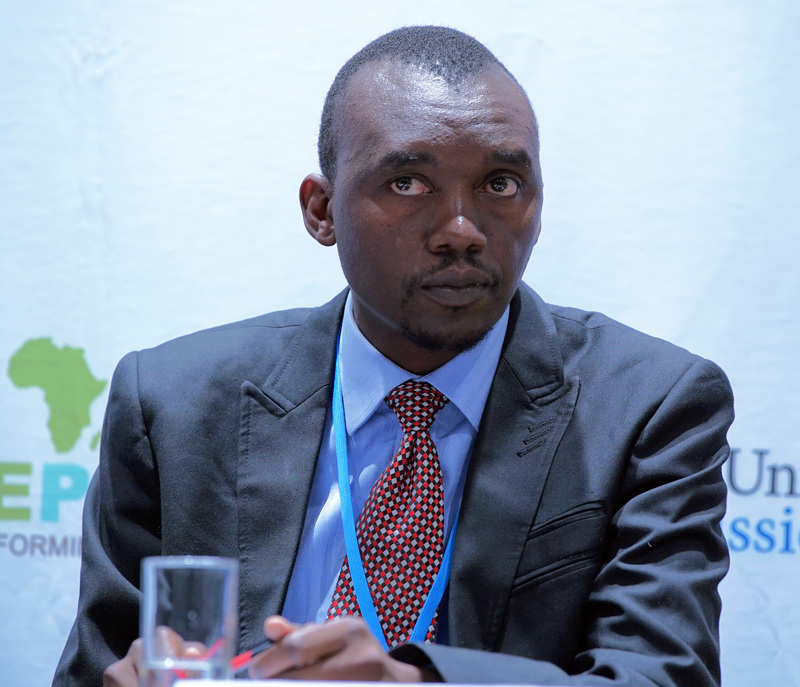 Justin Chuunka, Principal Agricultural Officer, Ministry of Agriculture, Zambia, underscored the need to develop structures to build capacity at the national, provincial and grassroots levels. Estherine Fotabong concluded by saying that goals such as those outlined in the Malabo Declaration, the SDGs or the Africa Union Commission’s (AUC) 2063 Vision cannot be met if women farmers—more than 50% of the population—are left out. She said NEPAD is doing all it can to attract resources to support countries to take action on the ground. Martin Bwalya underscored the need for collaboration between scientists and negotiators, to utilize local knowledge, to create enabling environments for women, and to acknowledge the centrality of smallholder farmers. 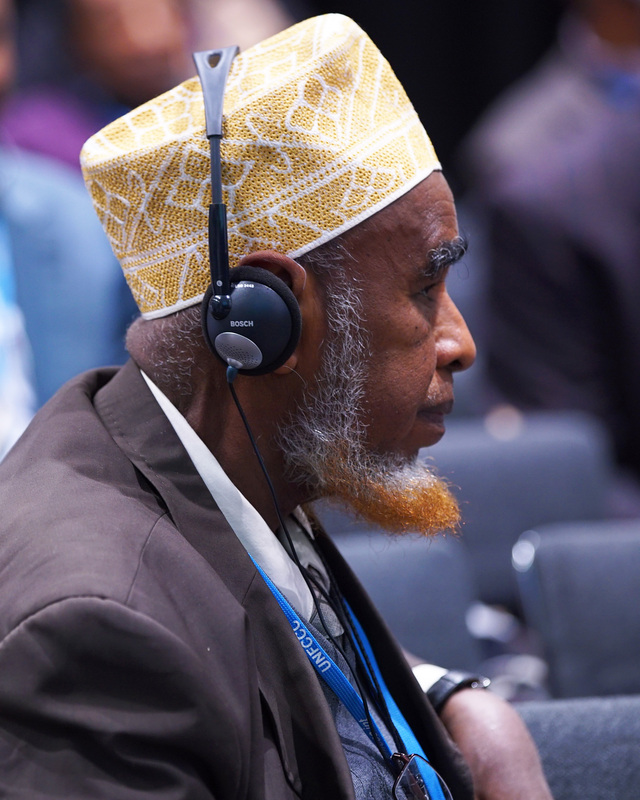 This high level side event focused on Ethiopia’s path to becoming a low carbon country and showcased its planning at the national level. 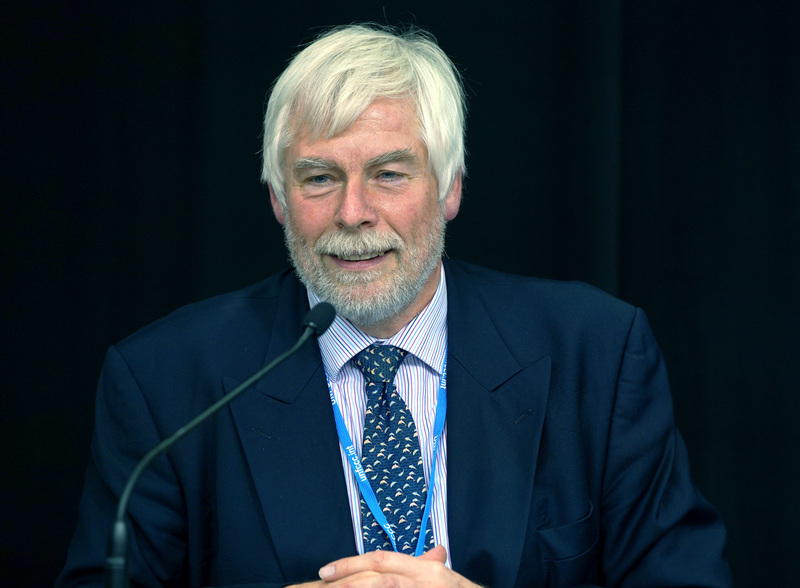 The session was moderated by David Potter, Climate Change Adviser and Technical Adviser to the Climate Resilient Green Economy (CRGE) Facility, DFID, UK. 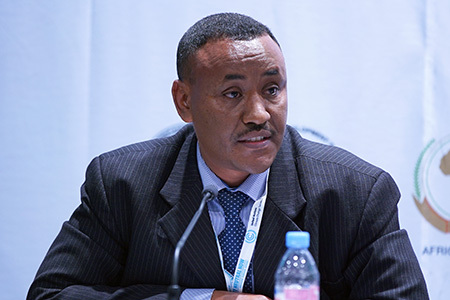 Shiferaw Teklemariam, Minister of Environment, Forest and Climate Change, Ethiopia, opened with a brief statement expressing hope and determination that by 2025 Ethiopia will become a middle income country. 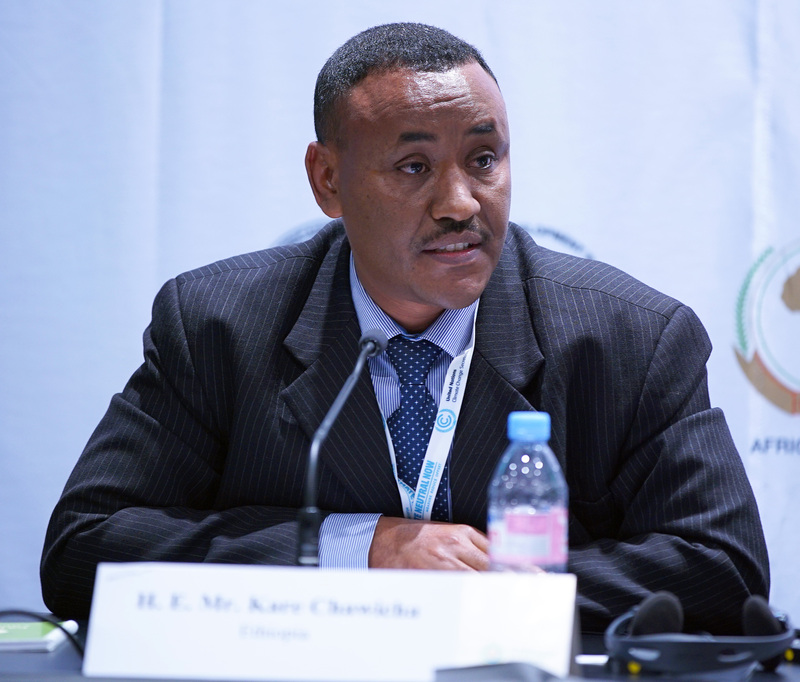 Kare Chawicha Debessa, State Minister of Environment and Forestry, Ethiopia, discussed Ethiopia’s journey from COP 17 in Durban to COP 21 in Paris, underscoring his country’s highly ambitious Intended Nationally Determined Contribution (INDC). He said that Ethiopia is implementing its INDC into action using local resources but will seek additional partnerships. 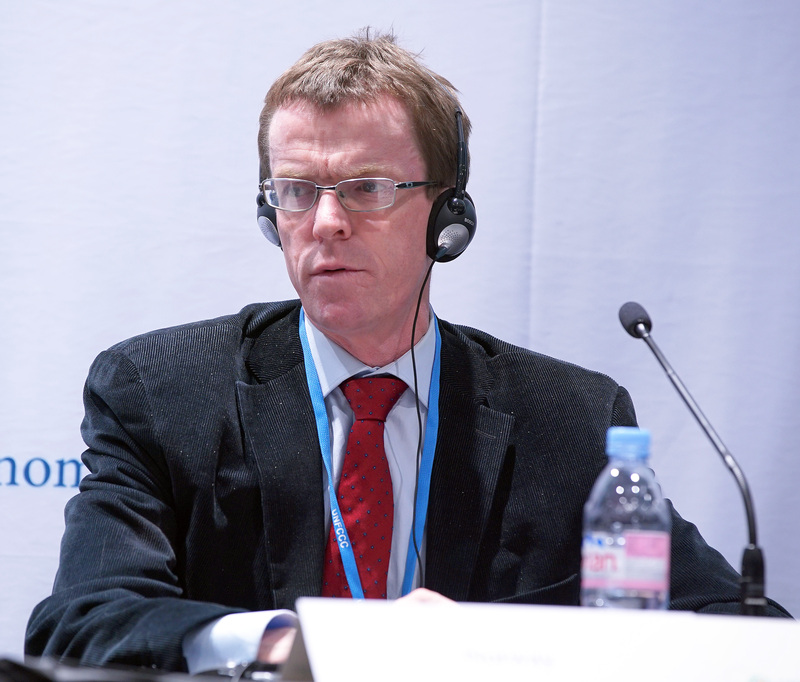 Geert Aagaard Andersen, Ambassador and Head of Department, Global Green Growth Forum, Ministry of Foreign Affairs, Denmark, commended the Ethiopian government for its “green vision” and said that the country is a leading example of translating strong political commitment into economic action and tangible results in sectors like agriculture and energy. 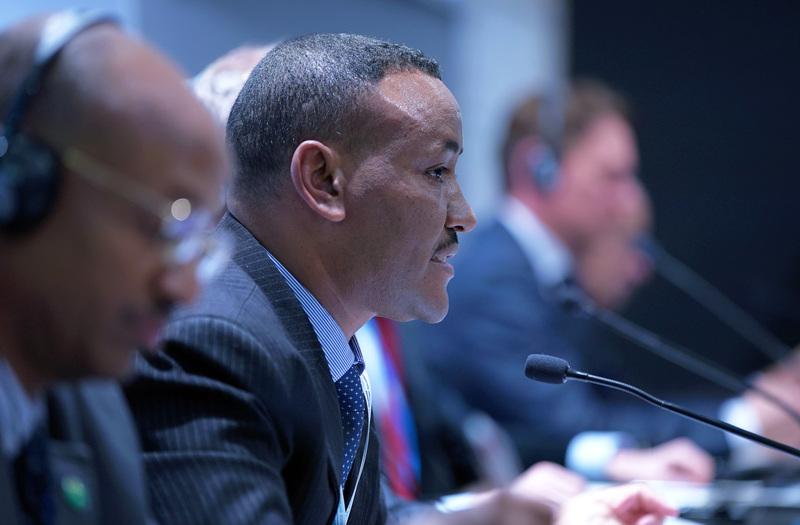 He called Ethiopia’s INDC “truly impressive” as it sets a path for others to follow. 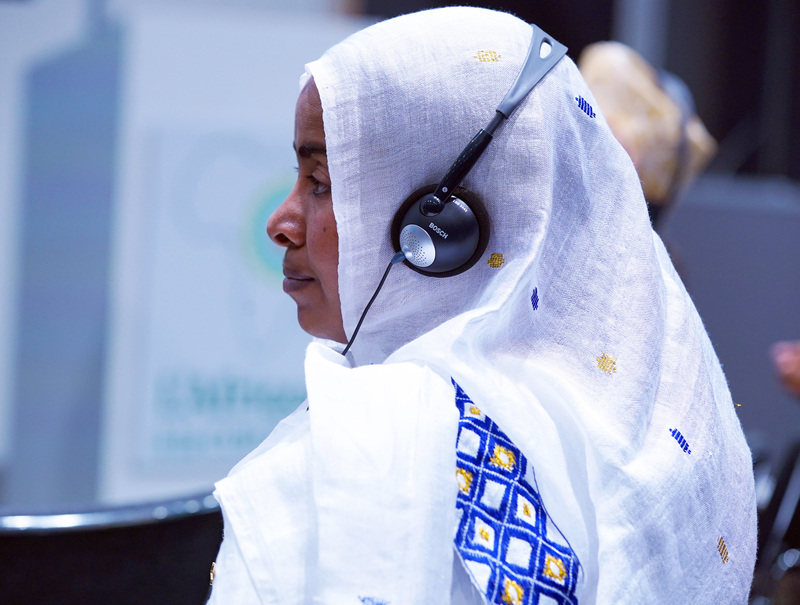 Andrea Ledward, Head, Climate and Environment Department, DFID, UK, commended Ethiopia’s “remarkable” economic growth rate and called Ethiopia a “pioneer of green growth.” As a board member of the GCF, she said she looks forward to approving Ethiopia’s accreditation next year. 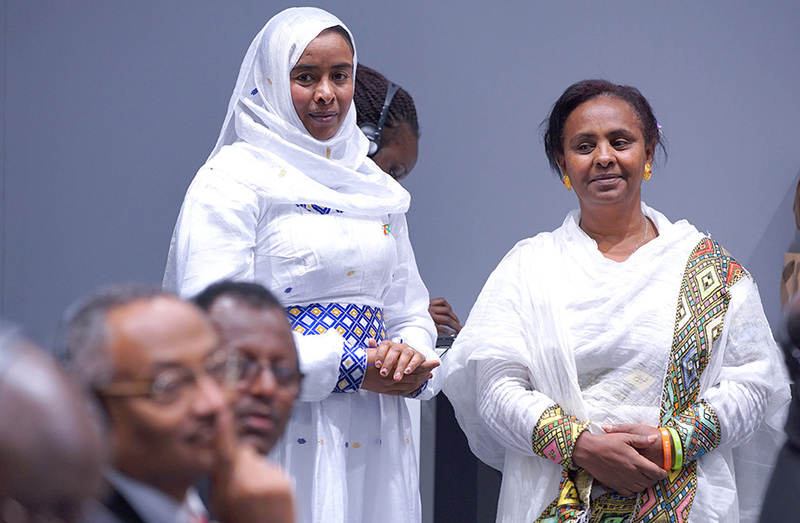 She said mainstreaming climate finance into national planning should be a focus for all countries and that Ethiopia stands as a strong example. 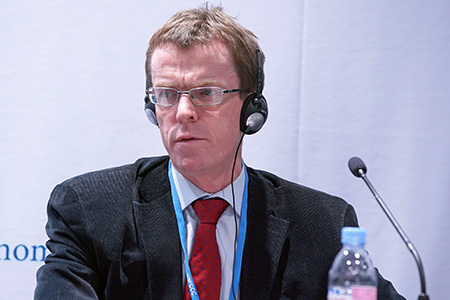 Per Fredrik Ilsaas Pharo, Director, International Climate and Forest Initiative, Norway, said that Ethiopia has a vision, expressed in its CRGE Facility, that is unmatched by any other country. 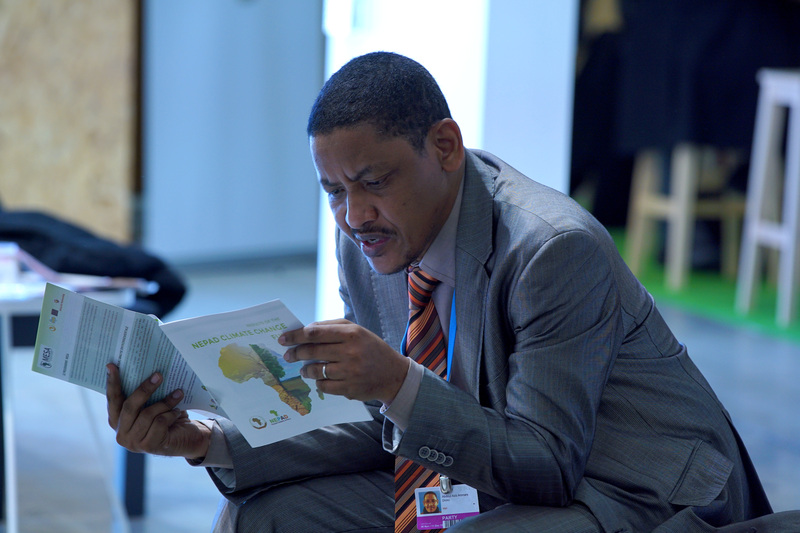 He said that the Ethiopian INDC is one of only two in the world that is compatible with the 2 degree Celsius goal. He cited the involvement of high level national leaders and cross-ministry cooperation as two reasons for success. 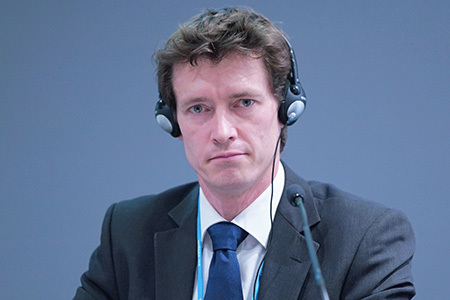 Alex Fisher, Advisor, International Climate Policy, Federal Ministry for the Environment and Nuclear Safety, Germany, echoed prior comments praising the CRGE Facility and underscored the importance of Ethiopian Prime Minister Hailemariam Desalegn and his active involvement in shaping Ethiopia’s vision. 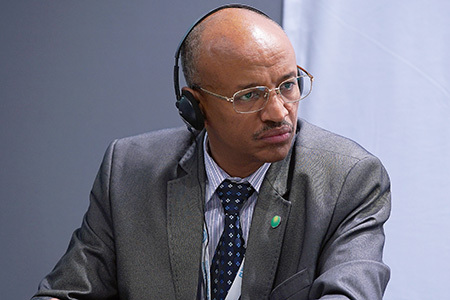 He called Ethiopia a “brilliant example,” but said that development banks can only supply a fraction of the estimated US$150 billion investment required to make the middle income pathway happen while staying on a 2 degree Celsius temperature rise trajectory. He said Germany wants to bring together more partners to achieve the transformation that Ethiopia hopes to make. Stephan Gompertz, former Ambassador to Ethiopia, France, highlighted activities undertaken by the French government in Ethiopia, including rehabilitating a waste facility and assisting with technology transfer. 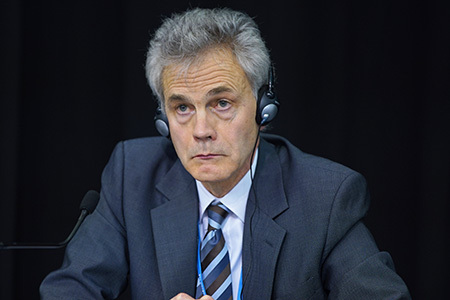 He praised Ethiopia’s efforts to improve the natural environment and said that many degraded landscapes he was familiar with during his time as ambassador are unrecognizable now because they have been wholly transformed. Tumusiime Rhoda Peace, Commissioner for Rural Economy and Agriculture, AUC, speaking from the audience, said the Ethiopian model needs to be replicated elsewhere. 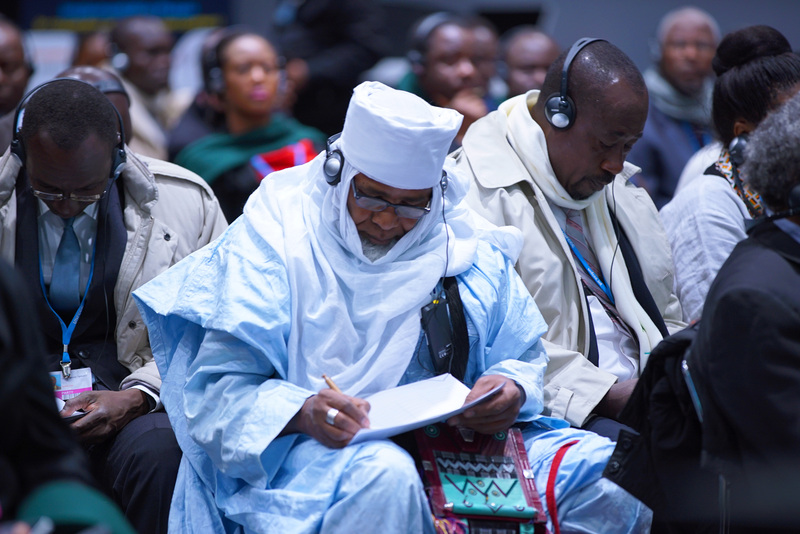 Africa, she said, is able to mitigate against climate change but requires support, technology and capacity building. She thanked the EU for “moving with Africa” and championing a positive vision for reducing carbon emissions. 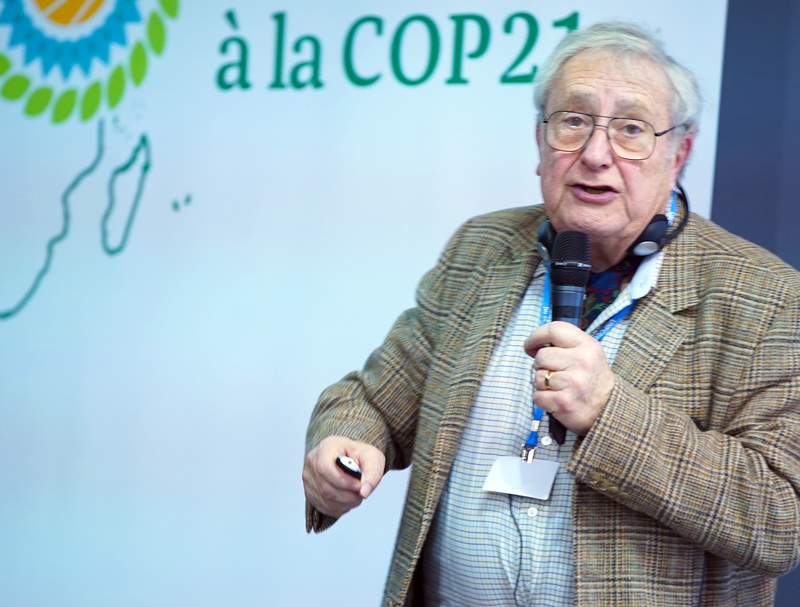 This event discussed increasing land use efficiency for food security and climate change mitigation in Africa and was moderated by Arthur Riedacker, former member of the IPCC. 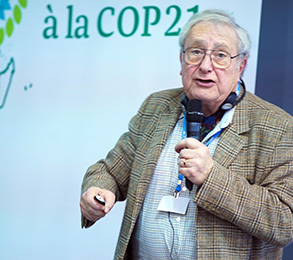 Arthur Riedacker presented on increasing land use efficiency in France and in Africa, and asked how to improve land use efficiencies without increasing greenhouse gas emissions. 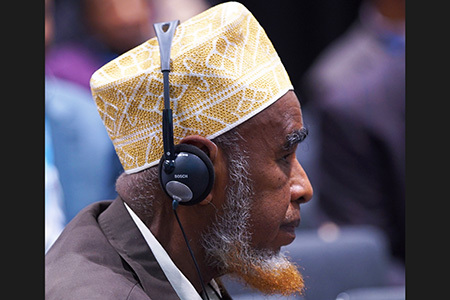 He argued increased efficiency requires either more surface area to meet the needs of Africa or additional use of fertilizers to increase yields. 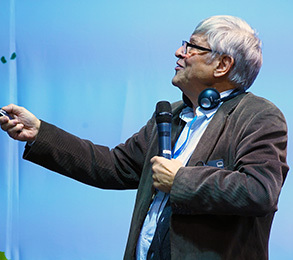 He argued that with more fossil energy Africa can increase farm yield and conserve biodiversity by avoiding deforestation. 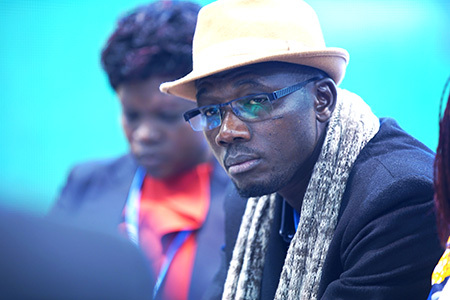 He argued that organic farming will require double the land area and is therefore not a solution for Africa. 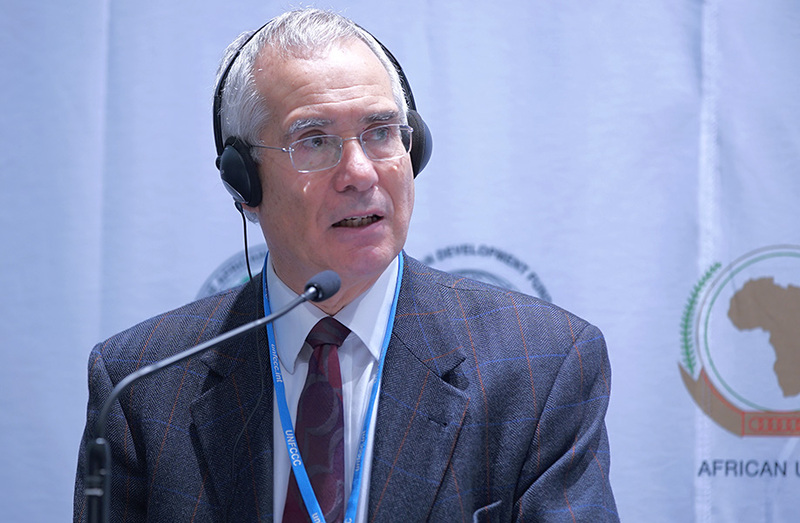 Jean-Marc Boussard, France Fellow, French Academy of Agriculture, stated that Africa needs more intensive farming with more fertilizers, but for subsistence farmers to afford fertilizers they need to produce and sell more from their land. He recommended the European example since the 1800s and emphasized that stabilizing prices and subsidizing fertilizers was essential to progress. He said this approach has also worked in Africa, citing Malawi as an example. He noted other options such as boosting irrigation, cultivating leguminous plants and utilizing pesticides and genetically modified organisms (GMOs) but said this requires credit and stable market outlets. 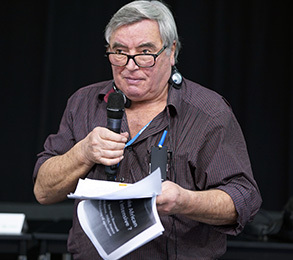 Joseph Racapé, Farmer, spoke about his personal experience witnessing changes in farming since 1950 in Brittany, France. With regards to farming, he said, the region has been transformed from poor and inefficient into rich and modern. He outlined the many challenges to modernizing agriculture and how they were addressed by pooling resources to buy equipment and fertilizers and through convincing Crédit Agricole to lend to young farmers. He said progress, however, was not “all rainbows” and many people who were not farming their lands were forced to relocate. Discussions ensued on: low quality soils in Africa and how to improve them working with the private sector; organic farming’s role in increasing yield and development in Africa; the lack of involvement of national level agricultural departments in COP 21; and the use of pesticides and their influence on climate change.